Think of Newport RI Attractions and most people think of the mansions and sailing, but they’re just the beginning! When most people visit Newport Rhode Island, they usually think about the Newport Mansions or of sailing and the America’s Cup yacht races. But there is so much more to the “City by the Sea“. Newport is blessed to be home to a multitude of other historic attractions, relaxing beaches, mouth-watering restaurants and award-winning accommodations. Let your discovery of 5 of the best begin right now! 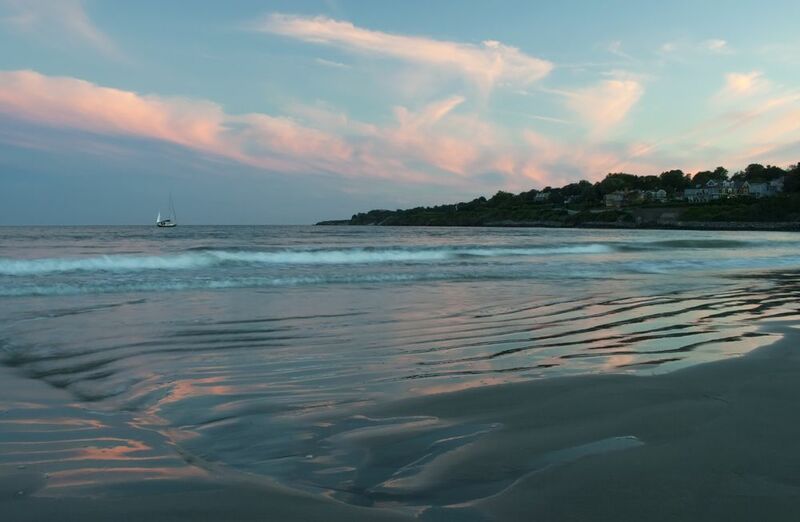 Easton’s Beach (the locals call it 1st Beach) is one great reason to visit Newport Rhode Island. This is by far the most popular of all the Newport RI beaches. It is situated at the eastern end of Newport, near it’s border with Middletown. This beach is a favorite spot for locals year round (great spot for off-season dog walking). The facilities are open from Memorial Day to Labor Day from 9am-6pm. 1st Beach is located closest to downtown Newport, just past the beginning of the scenic Newport Cliff Walk. It is within walking distance from much of downtown, but if you’re carrying beach bags, chairs and towels, it is probably easier just to drive and pay for parking. Do check the side streets as you come down Memorial Boulevard for spots first. Who knows, you may get lucky! Easton’s Beach Rotunda is the ideal location for a wedding reception (get married right on the beach! ), family reunion or corporate event. Enjoy the stunning views and cool breeze of the Atlantic Ocean as you celebrate a special occasion on the beach and enjoy one of my favorite Newport RI attractions in the “City by the Sea”. If you’re getting married, that’s just one more reason to visit Newport Rhode Island. Another great reason to visit Newport Rhode Island is this national treasure. Newport’s Fort Adams State Park is a place where you can easily spend the entire day, whether you’re traveling with children, as a couple or alone. Guarding the entrance to Newport Harbor, this National Historic Landmark has unparalleled panoramic views of Narragansett Bay, Newport Harbor and the Newport Bridge. You can tour the Fort (named for President John Adams in 1798) daily, every hour on the hour from 10am to 4pm, Memorial Day through Columbus Day. This amazing tour will take you through the Officer’s Quarters, restored casemate exhibits, 6 ½ acre parade field and the listening tunnels beneath the Fort. This park contains more than just Fort Adams, however. Fort Adams Beach (small, but almost never crowded) Just down the hill from the Eisenhower House, is a great spot to set up a blanket and chairs, and enjoy a day of sun and sailboats passing by on the west lawn. From here you can take a walk along the rocky coastline, do some fishing or scuba diving, or explore one of the Fort’s old bunkers. Oh, and did I mention the music festivals? Fort Adams has been home to the Newport Jazz Festival and Newport Folk Festival since the 1950’s. This is where memorable performances from music legends such as Bob Dylan, Jimmy Buffett, Miles Davis and Led Zeppelin have taken place over the years. At some point, you’ll need to take a break from all the shopping and sightseeing, and get something to eat. If you’re anywhere near downtown, you must stop by the award-winning Brick Alley Pub. This is one of those Newport RI attractions locals love but not many visitors know about. But you do now. Just past historic Washington Square, on Thames Street, you’ll see the yellow three-story building on your left. What awaits you inside, besides its very unique décor, are some of the best steaks, nachos, drinks and service anywhere in Newport. It’s one thing to have great food. It’s the outstanding service here that makes this whole experience a pleasure, and reason to visit Newport Rhode Island #3. My personal favorites here are the Sedona Burger (a little spicy, but you can take the jalapenos off) and Louie Murphy’s Chicken Nachos. The soup and salad buffet is one of the best I’ve seen anywhere, and you’ll definitely want to sample the lobster roll and clam chowda (sorry, it’s my New England accent)! After dinner, try the Irish Coffee, which won the “Best Irish Coffee” award from Jameson Whiskey 3 years in a row. If you decide to stick around and enjoy the lively bar scene, hand over the car keys and try some triple shot martinis, a frozen Lava Flow or a Brick Alley Mudslide. When you’re done here, you can get back to shopping at the Long Wharf Mall or Brick Market Place right across the street, or you can learn a little more about the city at the Museum of Newport History to your right. The Francis Malbone House is ideally situated in the center of all the action, right on Thames Street in downtown Newport. If you’re going to visit Newport Rhode Island, there’s no better place to stay. If you decide you actually want to leave the premises (you may not – this place is that good! ), you’ll be just steps away in either direction from the best Newport Rhode Island restaurants, shops and attractions. This Newport Bed and Breakfast is the only Five Star Diamond award-winner in a city that is known for its luxurious accommodations. The main reasons for this are the great staff and the hands-on innkeepers. Rest assured that your every need will be taken care of during your stay here. Along with the usual amenities that you’d expect from a top New England Inn, the Malbone House sets itself apart by going the extra mile. They offer corporate meeting packages including 6 meeting rooms and a dining room with fireplaces, 2 boardrooms and on-site A/V equipment. And if you’re fond of food, then you’ll love the gourmet breakfast and homemade snacks that are baked here throughout the day. The innkeepers used to own a catering company and gourmet market, so when it comes time to dine, they really know how to please your palate! I know it will be tough, but try and get out once in awhile. If you’re going to visit the rest of my favorite Newport RI attractions, you can’t spend the whole day inside! This is one of the most fascinating museums I’ve ever been to, and I’m not even a tennis fan! 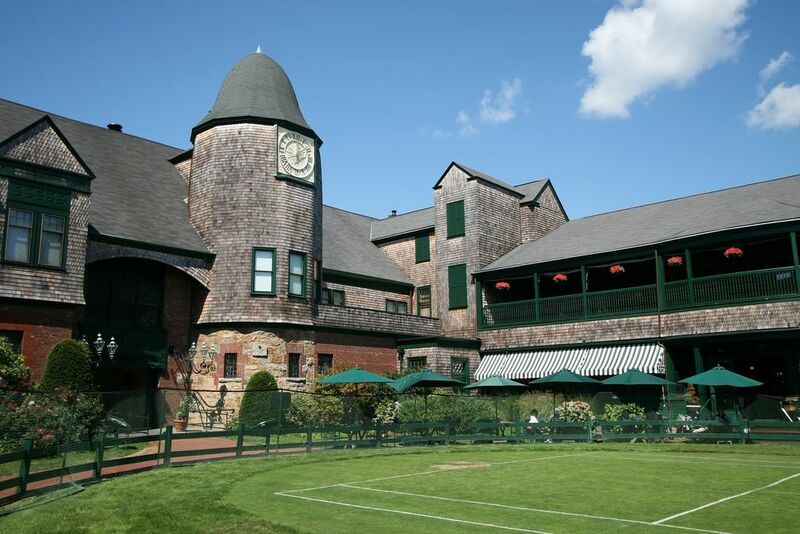 Many people don’t realize that the Newport Casino was the birthplace of American tournament tennis in 1881. The first U.S. National Championships were held here in that year. The museum here is amazing. The combination of the building’s architecture, interactive exhibits and the 15,000 plus objects in the collection make this a must-see for any tennis fan. Another cool thing about this Hall of Fame is that you can do more than just learn the history of the game. You can watch live professional tournaments here every summer, including the Campbell’s Hall of Fame Tennis Championships and the Hall of Fame Champions Cup. If you want to be a part of the action, you can even play on the grass courts, as long you make a reservation in advance. And if you can’t get enough of this place, you can even hold your wedding or corporate event here! While many people do know about the International Tennis Hall of Fame most don’t know what’s inside and skip it to see another mansion – don’t. Make sure you see this Newport RI attraction when you visit. Although we’ve only scratched the surface of things to do in Newport, the 5 mentioned here will give you a taste of all this historic “City by the Sea” has to offer. No matter the season, there is always something great for you to experience when you visit Newport Rhode Island. Newport, and the surrounding towns, are rich in their variety of accommodation to suit all budgets and preferences. Use the resource below to find a place to rest you head that is best for you. To discover where to stay deals, and compare rates and amenities with a trusted and professional travel organization then check out Newport lodging and accommodations.